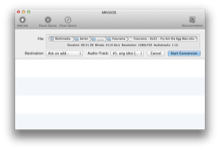 MKV2iOS is an application that can convert video files in the MKV container format to MP4 video files that are playable on the Apple's iOS devices like the iPhone and the iPad. 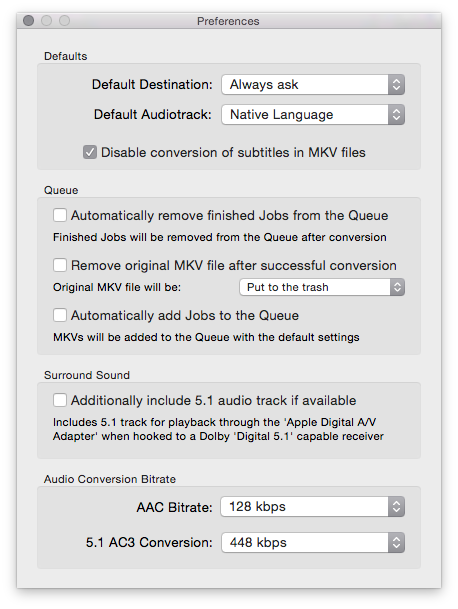 MKV2iOS can convert most common MKV files quickly and has a queue for converting hundreds of files at once. 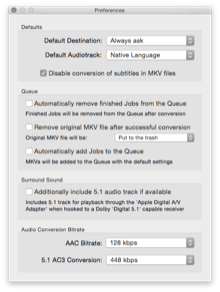 Because MKV2iOS doesn't re-encode the video track, conversion is fast and the resulting video has the exact same high video-quality as the source file. 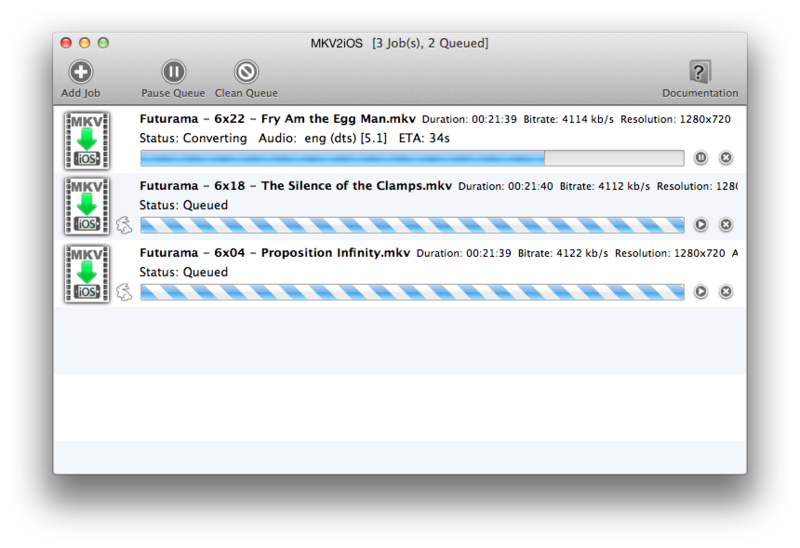 Most subtitles are supported (see the F.A.Q.). Note that MKV2iOS does not downscale the video, so old iPhones may not be able to play converted videos in realtime if they are in a high resolution (HD). 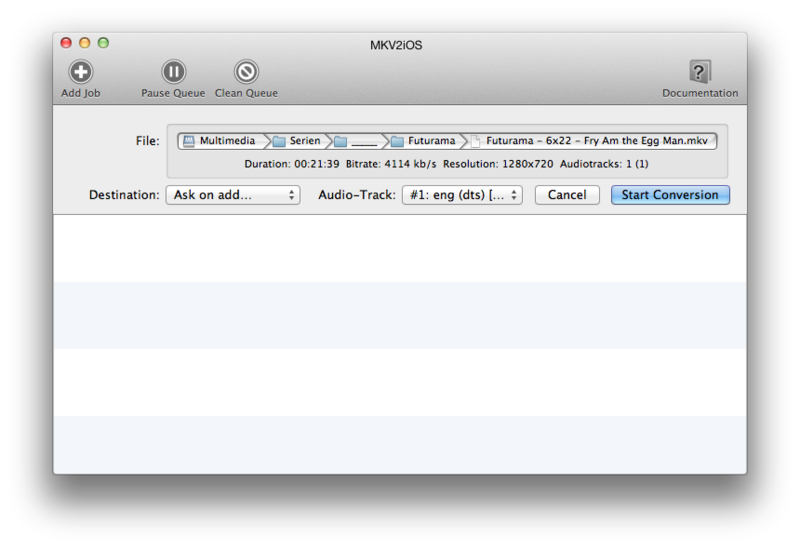 MKV2iOS is licensed under a proprietary license and costs 4.99$. 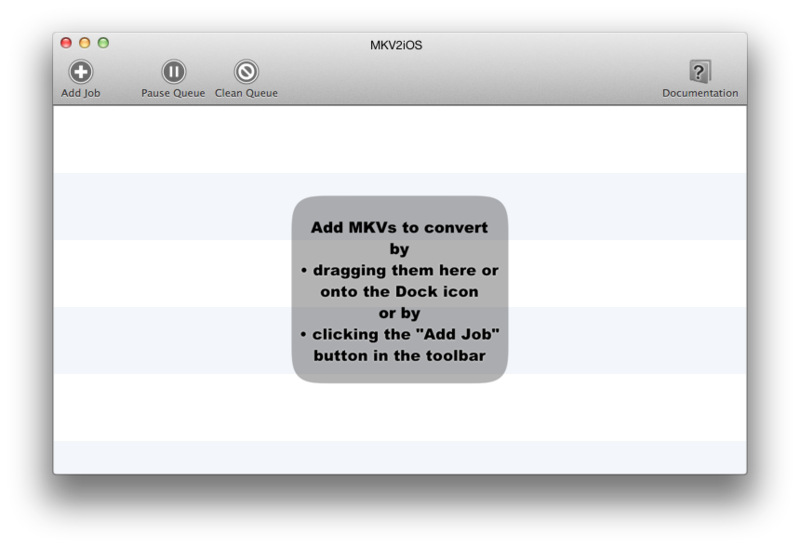 Technical support is available only from within MKV2iOS (in the "Help" menu).